Escape with HALLU Unicorn Rainbow Colored Sugar Scrub Cubes, because your inner Unicorn deserves a treat! Indulge your sweet skin by lathering up with the beautiful color of your choice. Simply wet one cube under warm water and glide it across your body to remove dry skin and bumps while hydrating with the delicious richness of rose hip and coconut oil. Your skin will be so soft and hydrated you may believe it's magical. 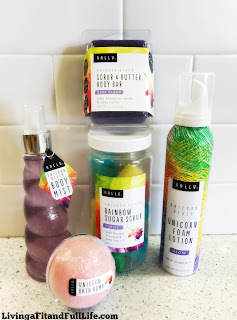 Allow the scent of HALLU Unicorn Beach to awaken and intoxicate your senses, transporting you to a mystical world that is both fruity and floral. This unique individual sugar cube scrub is as rare and precious as you! Escape with HALLU into Unicorn Body Mousse bliss! Enjoy hydrated and refreshed skin so rare and beautiful that some won't believe it's real. Simply pump this moisturizing mousse into your hand and lather all over your body after showering for smooth and rejuvenated skin. This foamy lotion won't go on uncomfortably cold like normal moisturizers - it's magical moisture will leave your whole body feeling tingly, refreshed and renewed. Allow the scent of HALLU Unicorn Beach to intoxicate your senses, transporting you to a mystical world that is both fruity and floral. Finish with HALLU Unicorn Body Mist for extra heavenly scent on your skin. Escape with the soft dewy clean of the HALLU Unicorn Scrub & Butter Bar. Banish dry, rough skin forever! Simply wet your HALLU Unicorn Scrub & Butter Bar with warm water and work into a creamy lather onto your skin. Enjoy the reviving exfoliation of blueberry seeds, sugar and sea salt, paired with the rejuvenating moisture of Shea and Cocoa Butter. Inhale the transporting fragrance of Unicorn Beach as you scrub and rub and clean. Gently rinse with warm water, pat dry and behold the dewy softness of your new coat. Your skin will be so soft and hydrated that some may believe it's not real. This exotic Scrub & Butter Bar is TSA compliant, so toss it in your carry on or gym bag for an on-the-go glow! For best results layer on HALLU Unicorn Foaming Body Mousse for extra magical moisture. Escape with HALLU into Unicorn Bath Bomb bliss! Drop into warm running water to transform your tub into a mystical unicorn spa. This long-lasting bath bomb bubbles and swirls heavenly trails of red and blue suds into your bathwater, until finally combining into a magical purple. The scent of HALLU Unicorn Beach intoxicates your senses, transporting you to a mystical world that is both fruity and floral. This exotic bath bomb will leave your whole body feeling relaxed and renewed. Add HALLU Unicorn Run Free Bath Bombs for your own relaxing unicorn paradise. Click HERE to find a store near you that sells HALLU! A sweet treat without the calories! Indulge in an ultra-moisturizing soak with Cocoa and Shea Butter bath candies, enriched with nourishing Vitamins E and C to leave your skin silky smooth and hydrated. A beauty like you deserves a break! The delightful sugar cream collection of showstopping bath bombs will satisfy your inner diva. Melt & fizz away your worries with Mr. 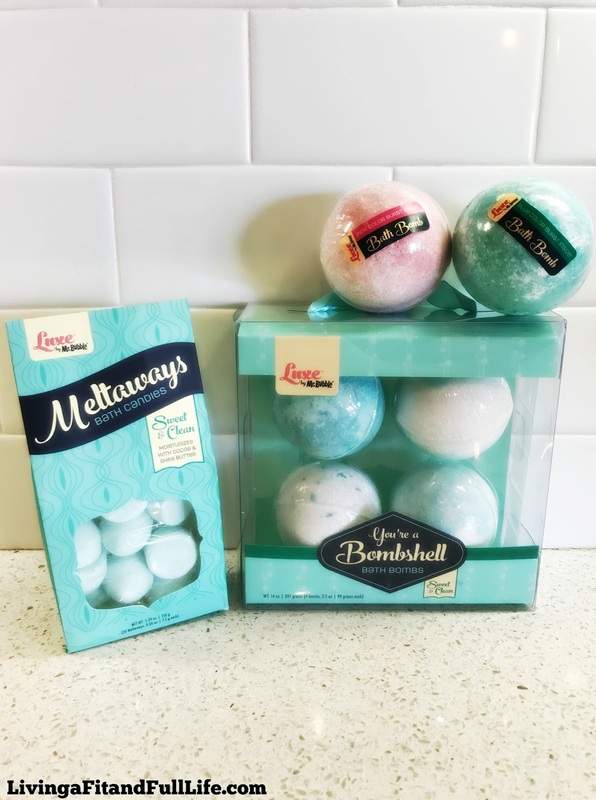 Bubbles Sweet & Clean Bombshell Gift Set by soaking in a luxurious aqua water filled with tiny, dancing bubbles. Mr. 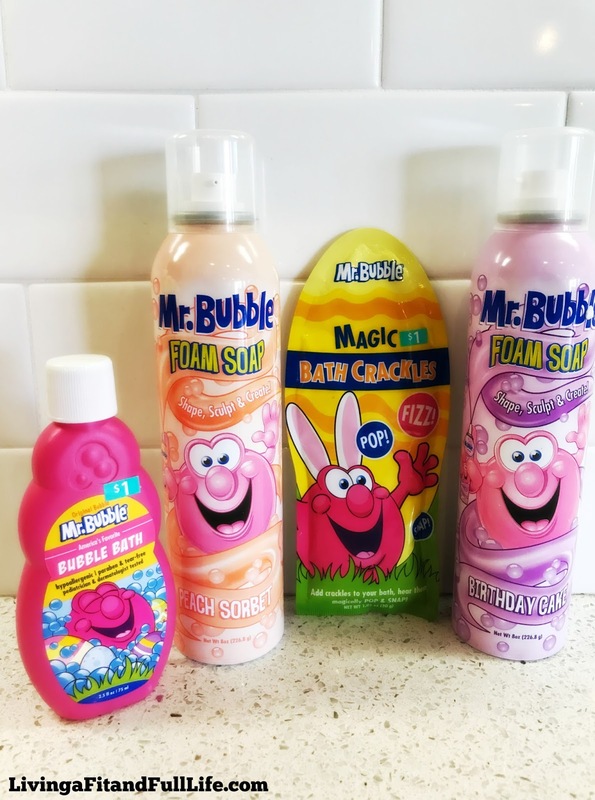 Bubble has been around since I was a kid and the fun is still around with a few new fun products that kids will love. And, right now they have a few in special Easter packaging that is perfect for adding to Easter baskets. Luxe by Mr. Bubble is currently sold at Ulta Beauty and Target! Click HERE to learn more about Luxe by Mr. Bubble! Follow Luxe by Mr. Bubble on social media! 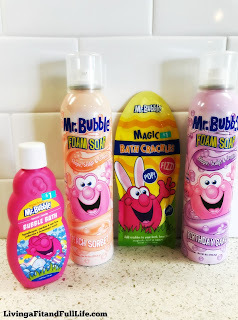 Fill kid's, tween's and mom's Easter baskets with fun bath products from the Village Company! The Village Company has a few brands my family and I have come to love. Recently they launched a new one that is sure to be a favorite for many. HALLU is now in Walmart stores and offers four new fantastical and whimsical collections. These collections capture the spirit of unicorn, mermaid, fairy and gnome and are oh so fun to use. 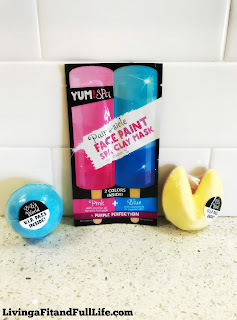 Yum Spa is a brand I just learned about from the Village Company but it too is a very fun brand as well. 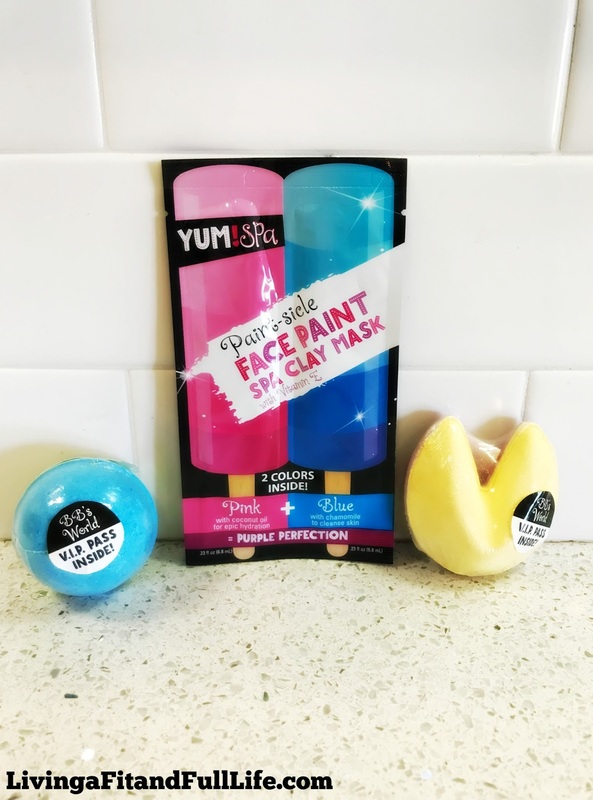 My tween loved the Yum Spa Face Mask and Yum Spa Bath Bomb Assortment! These would be great Easter basket additions for those hard to shop for tweens! I was recently introduced to Luxe by Mr. Bubble and have been in love ever since! As a mom of four, I love that their products help me relax in the bath after a long day. I love how the products smell and that they promote relaxation in a fun way. The Village Company makes relaxing easy with so many products to love!